Craig began his writing career in 1995 with the publication of his first book, The Creeks ~ an upland adventure. Both first edition (though it was not identified as such) and a unique leather bound limited edition of 250 in a cedar slip case cover. Though a virtual unknown at the time, he quickly created a local buzz in this state of Idaho with the book, and things exploded from there. Three years later, with a new publication, The Grouse Point Almanac, he was commissioned to do his first magazine article from John Gosselin, the publisher of The Grouse Point, and has had several more articles appear within its pages. 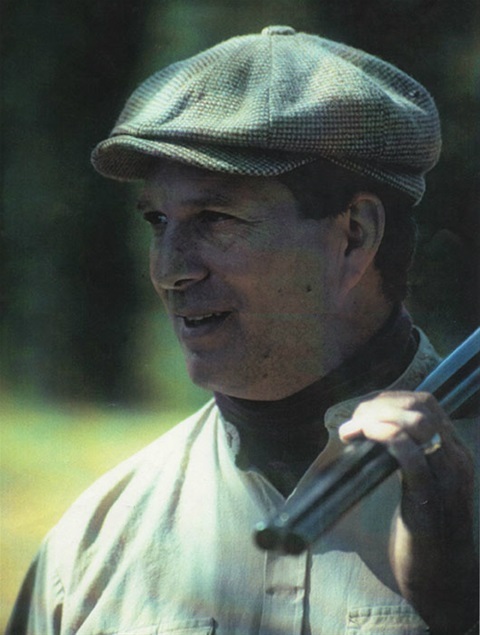 Later on, when the title of the magazine was changed to The Upland Almanac, he continued having his writings appear through this great hunting publication. In addition, he has had his works seen in The Pheasants Forever Journal, WIng and Shot ( no longer in publication), Sporting Classics and The Pointing Dog Journal. His second book, My Mountain Grouse had great success and featured not only Kulchak's photography, but pen and ink sketches from his gunning journals. It chronicled his adventures with his three sons, Nate, Matt and Kip and four generations of their English setters in the wild mountains of Idaho. The three species of forest grouse found in secrete haunts of Kulchak were the game birds featured and include Blue, Ruffed and Franklin grouse. The third book in an ongoing series of Upland Literature by Kulchak is Roosters at The Fort. Another destined classic, it focusses on America's number one game bird - the pheasant. Lavishly illustrated with Kulchak's photographs and gunning journal sketches, the book was released in November, 2014. His father, sons Nate, Matt and Kip, along with friends, are included within the pages of this exciting work. And of course there are the setters... four generations of them. All of these great upland classics can be purchased through this web site in the Online Store.